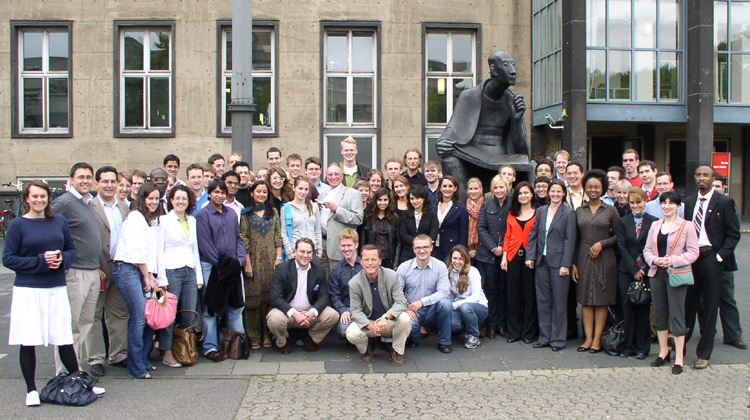 During the first week of September 2007 the 2nd Cologne Summer Academy on International Business Negotiation and Mediation took place in conjunction with the 5th Cologne Summer Academy on International Commercial Arbitration. 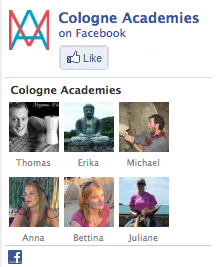 Both Academies were organised by the CENTRAL in cooperation with the German Institution of Arbitration (DIS). International participants arrived from distant countries such as Australia, India or Nigeria to attend the interactive workshops that were conducted by esteemed international practitioners. In the first evening a welcome reception was held at the DIS head office in Cologne. This reception gave the participants of both Academies a first chance to meet, talk and get to know each other. 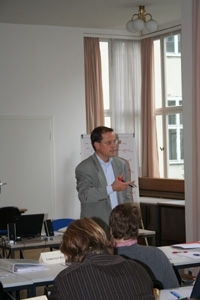 During the course of the Academy, the participants discussed with their workshop leaders parts of the realistic case study contained in Prof. Klaus Peter Berger"s book "Private Dispute Resolution in International Business". This book is a teaching and training kit which, by means of a realistic case study, tries to bring close the matter of negotiation, mediation and arbitration. For illustration purposes the course leaders also integrated videos of negotiation and mediation techniques. These videos were drawn from the DVD that is attached to Prof. Berger"s book. The first day of the Academy started with a general overview of negotiation techniques. Dr. Volker Nienaber, LL.M. not only taught these techniques, but also gave the participants the chance to test the just learned by negotiating amongst themselves. On the second day, Christopher Newmark introduced the first two phases of a mediation. During role plays the participants were given the opportunity to experience how difficult it could be to mediate with a business partner. Alexander Oddy provided an insight into the next two phases of business mediation on the third day of the Academy. Moreover, he demonstrated how a lawyer could achieve the most favourable results for his clients in a business mediation. On Thursday Prof. Berger lectured on the final phase of the mediation, the drafting and signing of a settlement agreement. In the afternoon a joint session of both Academies took place and Prof. Berger discussed the differences and similarities between the various dispute resolution processes, as well as hybrid procedures combining negotiation, mediation and arbitration. He explained how bridges can be built between these ADR processes. In a final "award ceremony", the participants received their well deserved certificates, as well as a copy of Professor Berger"s book. Whilst coming to Cologne in order to learn about negotiation and mediation, the participants were also given the opportunity to meet students, legal trainees and practitioners with same interests from all over the world. In order to get to know each other, CENTRAL organized an evening sightseeing tour through the old city center of Cologne. Here the participants could enjoy the famous beer of Cologne during a casual get-together in a Cologne "Brauhaus". Also a boat trip on the Rhine River gave the participants the opportunity to exchange experiences and to talk to the workshop leaders while enjoying dinner and the view of the skyline of Cologne. 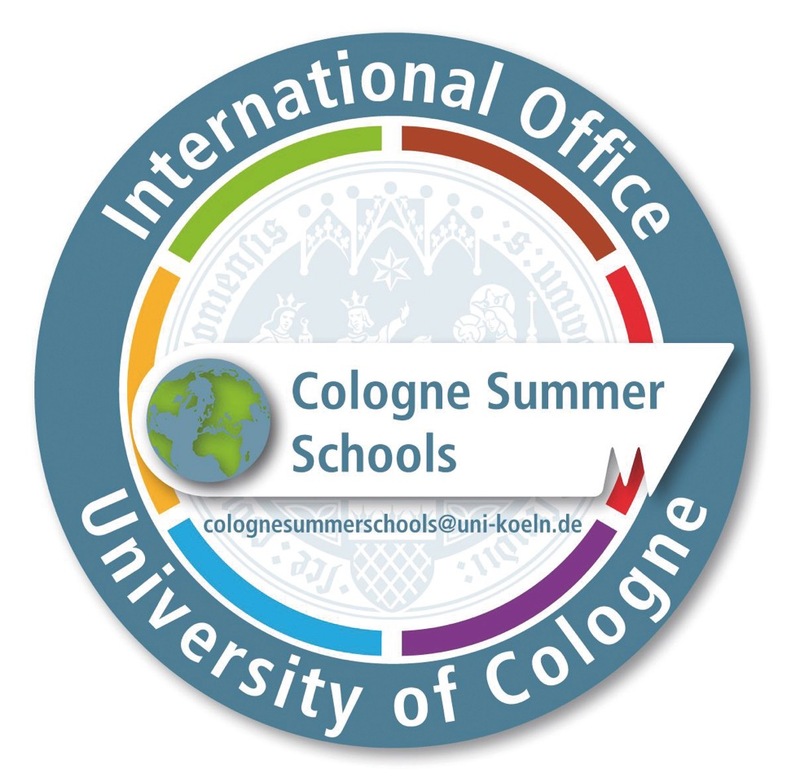 Some participants indicated their intention to revisit Cologne next year in order to attend the "other Academy" and, based on their experiences this year, to learn more about the law and practice of international ADR. CENTRAL is looking forward to the next Summer Academies in September 2008.